The modern workforce is more mobile than ever before. Between 2013 and 2015, Gartner predicted an increase in mobile workers of nearly 30% globally. 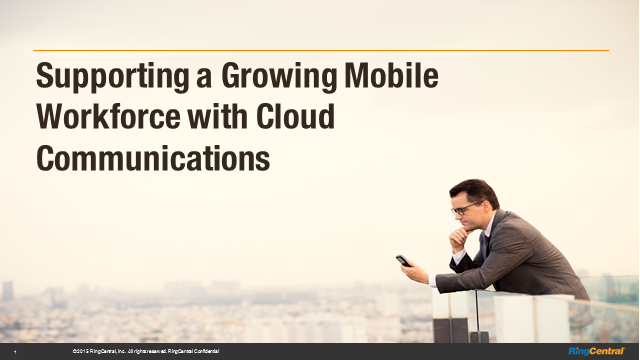 Matt McGinnis, Senior Director, Product Marketing will discuss the importance of cloud communications in supporting this shift and how IT can support an ever growing and dynamic mobile workforce.